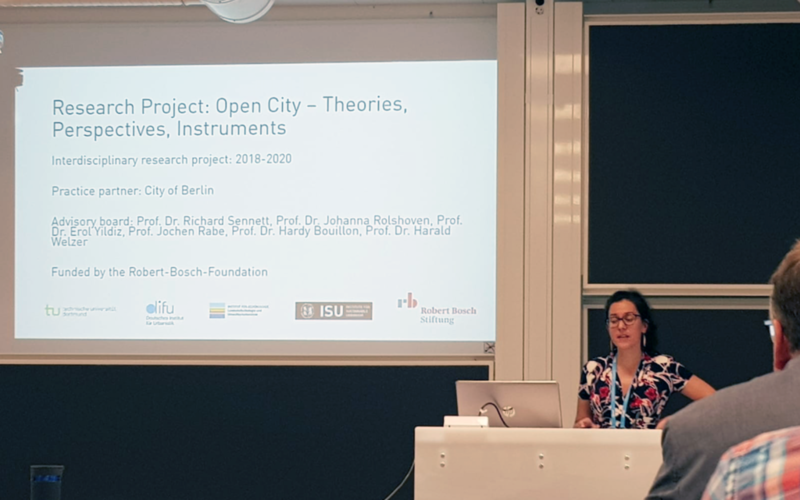 The OPEN CITY project presented its research design at the AESOP Conference in Gothenburg on 13th of July 2018 to the community of European planning researchers and professionals. Dr. Nadine Appelhans gave an outline of the project structure and its aims, which was well received by the audience. A lively discussion on the approach and valuable comments for the further progress of the project rounded off the occasion.